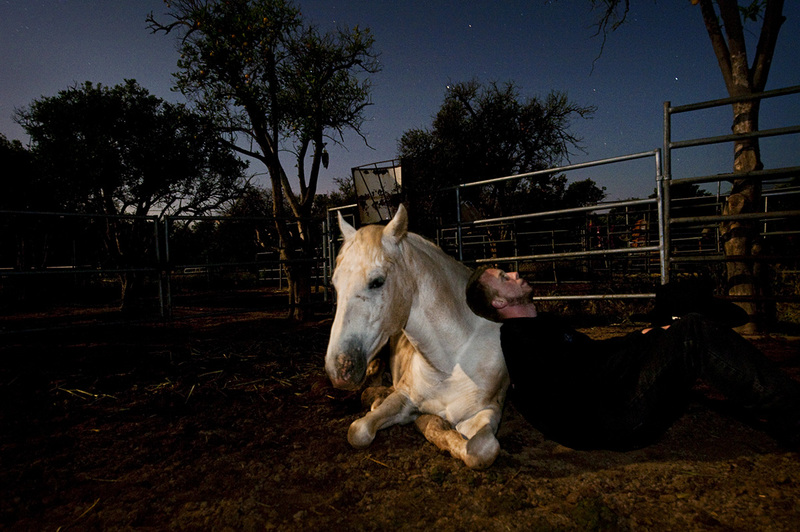 Shawn Dent, 22, from Ventura, Calif., is looking at the stars with his self-proclaimed "big puppy," Amigo, around 1 AM on Friday, May 20, 2011 in Ojai, Calif., at the California Coastal Horse Rescue. Dent and Amigo share a special bond. A friendship that allows a rescued horse lay down with his human friend in the middle of the night comfortably. "I would come here at night time even when I was 15 years old when I first started driving," Dent continued, "it is just a nice and peaceful area."